Within a framework of new project “Internationalising Trading for Social Enterprise Sustainability and Education” first partners’ meeting was organized in Athens on 22-23 of January 2018. Social Innovation Centre has met representatives of universities, social enterprises and NGOs from UK, Ireland, Greece, Germany, Lithuania and Italy and discussed conceptual project management and evaluation system. 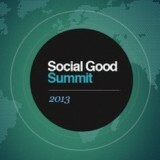 Besides that detailed tasks and roles of each of partners dedicated to social entrepreneurship were in the focus. 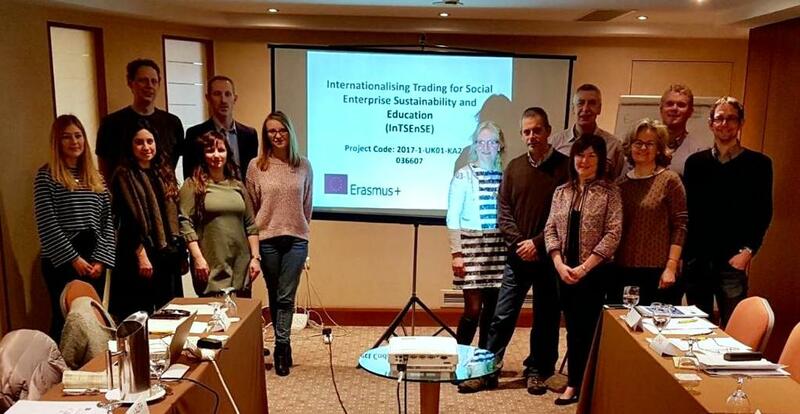 “Internationalising Trading for Social Enterprise Sustainability and Education” is developed under Erasmus+ strategic partnership programme and aims to support the development of innovative practices in the education and training for sustainable development and internationalisation of social enterprises. This project has to be implemented in 2 years period, and materials and events created during the development work should help existing and potential social entrepreneurs to expand locally, regionally and internationally. IO4: 2 modules of the blended learning InTSEnSE course materials. 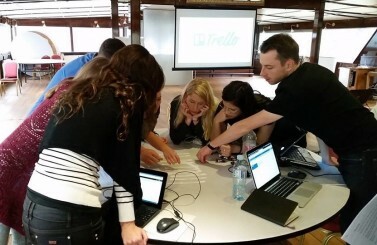 All the learning materials and e-tools will be tested through hands-one workshop sessions and dissemination activities in project partner countries. At the end of the project conference on social entrepreneurship is planned in UK on summer 2019, where the results of the project going to be disseminated and larger impact created by inviting social entrepreneurs from Europe to take a speech.